Lock in a great price for Pension Giannis Perris – rated 9.1 by recent guests! View from the room was amazing -right on the beach.Room was small but very clean and the staff were very helpful . On the beach and Litteraly 10 steps to the water. The staff are extremely mindful of cleanliness. Perhaps the cleanest place I have stayed. The location was excellent! Close to restaurants, coffee shops, and stores. This place is high value for money. There is only 6 rooms and is right on the beach, only 20m from the ocean. The rooms itself are simple but nice. The owner really makes a difference, very friendly and helpful. He recommended many places to see and restaurants to eat, and all of the recomendations were just perfect. Wonderful room by the Beach. The room was cleaned everyday. It Was all u need. We had the greatest stay at Giannis Perris pensión. Giannis and his family gave us a very warm welcome. The room is perfect, right at the beach, the shower is very hot, and they clean the rooms every day. We felt really at home, felt like everything was allowed and Giannis is super helpful. He really went out of his way to give us the best holiday ever. Even though there are many retirees on the island, we as young women, also had so much fun. The island is really beautiful. 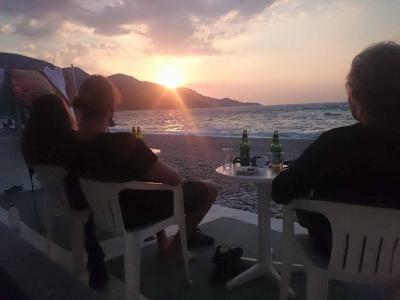 So young people should also come to Samos and stay at Giannis Perris pension. We didn’t want to leave at all and hopefully we will return one day. Thank you Giannis, mum and dad for having us. 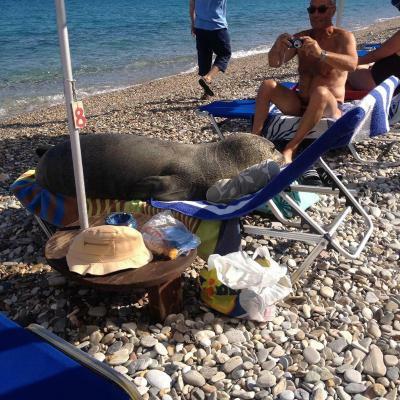 The location right on the beach is excellent. The breeze and ceiling fan, together with the firm, comfy beds, make sleeping easy. Giannis and his family are very welcoming hosts. The room was always clean with the sheets and towels changed frequently. The shower was good by Greek standards with a plentiful supply of hot water in the evening. We will definitely be returning. Room had direct access and opened onto to the beach. Nearby were many restaurants,shops and ATM. Room was small but efficient use of space. Use of kitchen facilities and fridge right outside door was very convenient. Although there was no air-conditioning an upright fan was provided which was very useful and mobile. Although no TV, internet was very good for entertainment. Our host ,Giannis ,contacted us before stay to introduce himself and offer any assistance. Yes, I would definitely stay in Kokkari again! 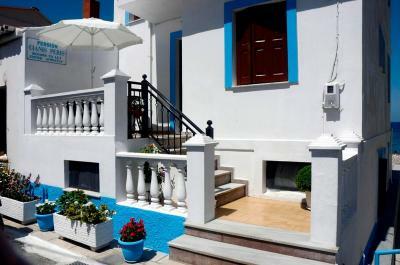 Perfect located on the perfect beach, and close to the restaurant and the center of Kokkari. Very clean and nice room. Very kind personnel, that did everything they could to make our stay perfect, thanks' :) No AC, but the wind from the beach and the fan made the room cool. Giannis was a lovely man ... friendly and well informed about the area. The room looked straight out at the beautiful sea at eye-level which was unusual but great. The waves crashing 20 metres from your table was unforgettable. Room was clean and airy and very inexpensive for what it was. Perfect in every way and we hope to return. Thank you so much! One of our best sellers in Kokkari! 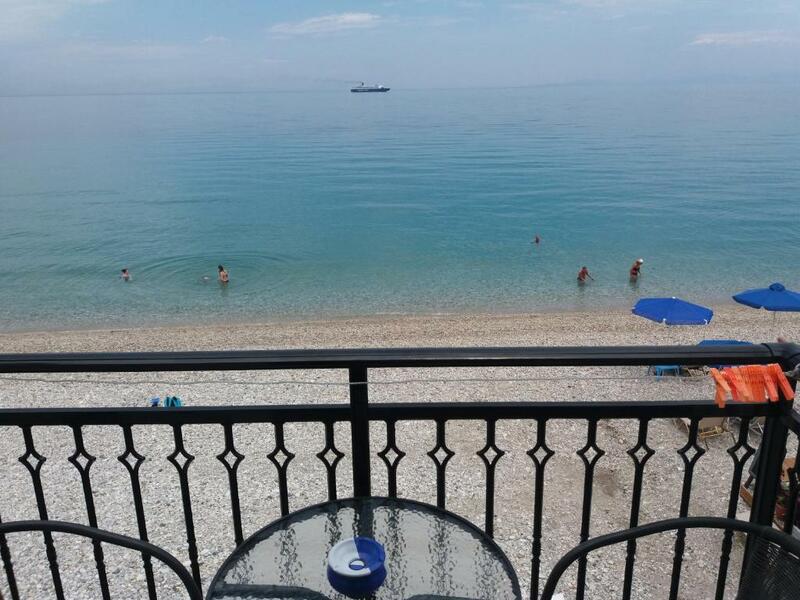 Located right on Kokkari Beach in Samos, Pension Giannis Perris offers rooms with a furnished balcony overlooking the Aegean Sea. Fish taverns and shops are within a 2-minute walk. Free WiFi is available throughout. 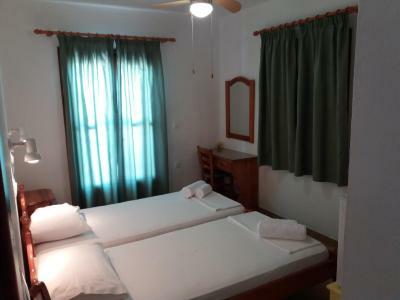 Fitted with a fan, each room of Giannis Perris Pension has a private bathroom with shower. Some units have a fridge. A bus stops only 350 feet from the property. 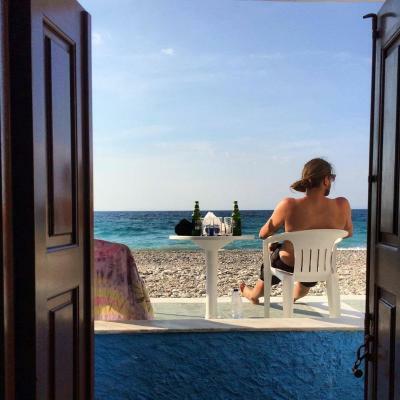 Vathy, the capital of Samos is 6.2 mi away. Samos Airport is 16 mi away. 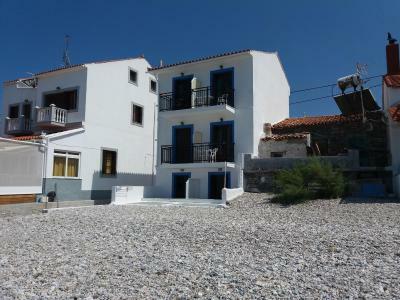 This property also has one of the top-rated locations in Kokkari! Guests are happier about it compared to other properties in the area. This property is also rated for the best value in Kokkari! Guests are getting more for their money when compared to other properties in this city. When would you like to stay at Pension Giannis Perris? Right on the beach, this room offers a furnished balcony overlooking the Aegean Sea. 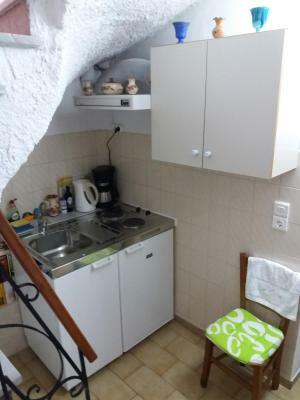 Fitted with a fan, it is located on the upper floor and has a fridge. Free WiFi is provided. 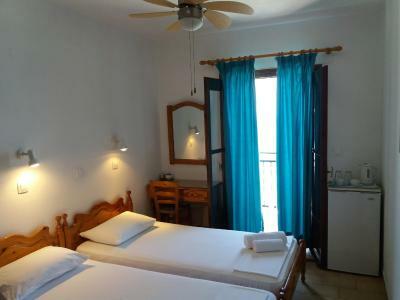 Right on the beach, this room offers a furnished balcony overlooking the Aegean Sea and is fitted with a fan. Free WiFi is provided. Please note that this unit shares an external, communal kitchenette and a fridge where guests can prepare light meals. House Rules Pension Giannis Perris takes special requests – add in the next step! matress and blankets somewhat dusty. Rest of the place however extremely clean, they clean every day. 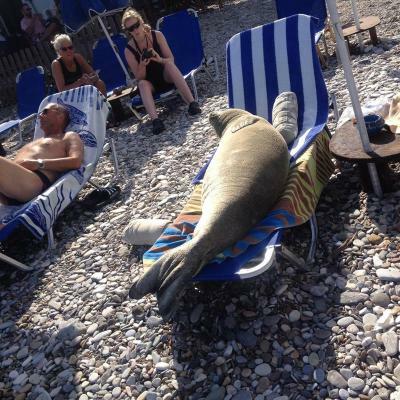 A couple of sunbeds would have been nice. The owner was really very welcoming and helpful. The wi-fi in our room was intermittent, although that didn't matter too much. The room was a little small, but ok for the two of us. Room was small - but it didn't impact on our enjoyment of the property -sitting on the balcony looking at the sea having breakfast was amazing. Although the rooms were small and there was no a/c, the cool ocean breezes and the fan in the room made it quite comfortable.